This is what CES 2019 taught us. 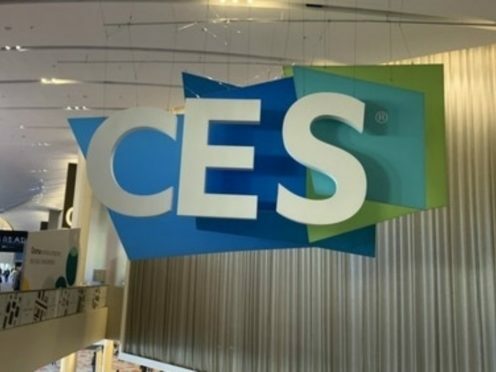 The first 5G networks are expected to begin rolling out this year, and so the next-generation connectivity technology was being mentioned everywhere at CES. Intel, Qualcomm and Samsung all spoke about harnessing the technology to not just offer faster mobile internet speeds, but also to connect more devices and appliances to each other and be able to handle more data in the process. Experts at the show also commented on the higher capacity of 5G networks being able to support the software needed to power networks of driverless cars and robots. The halls of this year’s CES hinted at a world where homes, cars and even entire cities are connected to one another, with people able to use these connections to complete tasks every day. Such blanket coverage of the technology is also likely to spark more manufacturers into creating 5G-enabled devices. The most prominent trend of the last two years in the tech industry was once again one of the most commonly used phrases at CES this year. Alongside gadget makers such as LG, Samsung and Sony, firms such as farming vehicle manufacturer John Deere were at the show with devices they say are powered by AI. But the idea of artificial intelligence is losing its shine in the eyes of some experts, with some warning the phrase was at risk of becoming an over-used buzzword by some firms as a way to gain attention rather than using it to try to drive forward innovation. It is an issue many will remain on the lookout for as 2019 continues. The end of 2018 was notable in the smartphone industry for the obvious signs of saturation and stagnation – most notably in the form of a warning from Apple at the start of the year about falling iPhone sales in China hitting its revenue. Other companies now appear to be looking at ways to innovate beyond smartphones too – the most striking example of this was Samsung’s surprise unveiling of three new robots during CES. The three bots, which can help with care, in retail spaces and as a mobile air quality monitor and purifier, give the Korean firm another market to look into alongside their hugely successful smartphone, TV and home appliance businesses. Virtual reality has struggled to maintain excitement levels among consumers since the current generation of headsets first appeared in 2015. Cost of set-up and the level of immersion it requires to actually play has weakened demand for systems, leading to questions about whether it can stay a viable business. However, two of the biggest names in VR are far from ready to give in and are still innovating. At CES, HTC introduced a new version of their Vive system that can track eye movement, enabling users to navigate without any controllers. While Facebook-owned Oculus also showed off its latest headset, the Quest. Both systems are making VR more accessible and could perhaps turn more people on to the technology. It is not just humans who are benefiting from shows like CES now – cats, dogs and other pets were widely catered for at this year’s show too. For felines, there was a cat treadmill and an automated, self-cleaning litter tray. While there was a smart toilet for dogs too. Called the Inubox, the device, which is designed for dog owners who do not have outside space, cleans itself and washes away waste after use.